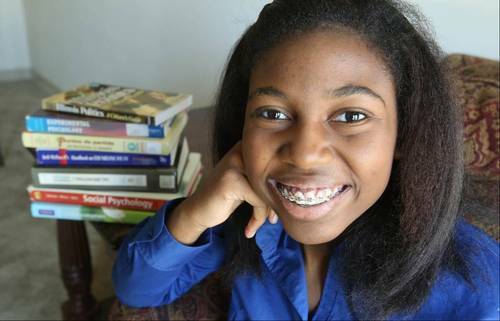 Here’s a more positive story coming out the city of Chicago featuring 14 year old Thessalonika Arzu-Embry, who unlike many her age will be receiving her Bachelors degree from Chicago State University this August. During her studies at Chicago State, Embry majored in Psychology and will be furthering her education by moving on to her graduate studies shortly after. The 14 year old Great Lakes Naval Base residents credits her mother for pushing her and says that she also serves as her biggest inspiration;she plans on one day opening up her own clinic with her mother. Not only will she be finished with her program next month Embry will finish up with a GPA of 3.9 and as a member of the University’s Honors College, a program designed for talented and highly motivated students where she served as student senator.